Materials contributing toward this credit may not contribute toward MR Credit Material Disclosure and Optimization – Sourcing of Raw Materials. Path 1 or Path 2 (a/b) may be attempted but combining Path 1 and Path 2 to achieve points is not allowed. Maintain the existing building structure (including floor and roof decking) and envelope (the exterior skin and framing, excluding window assemblies and nonstructural roofing materials). Use existing interior nonstructural elements (e.g. interior walls, doors, floor coverings and ceiling systems) in at least 33% (by area) of the completed building, including additions. Path 4: Meet requirements of Path 3 and incorporate building reuse and/or salvage materials into the project’ s structure and enclosure for the proposed design. Demonstrate reductions compared with a baseline building of at least 20% reduction for global warming potential and demonstrate at least 10% reduction in two additional impact categories listed below (4 points). For Paths 2, 3 and 4 listed above, no impact category assessed as part of the life-cycle assessment may increase by more than 5% compared with the baseline building. 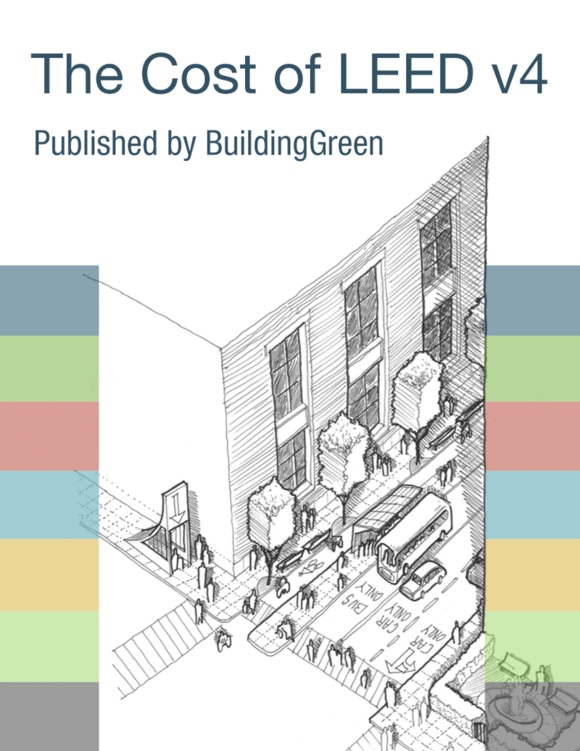 Include a narrative of how the life cycle assessment was conducted and if applicable for paths 2, 3 and 4 what changes were made to proposed buildings in order to achieve the related impact reductions. depletion of nonrenewable energy resources, in MJ (using CML) / depletion of fossil fuels in TRACI. For all options in this credit, building materials demolished to create courtyards to increase daylighting may be counted as retained in calculations, provided the new courtyards meet the requirements of EQ Credits Daylight and Quality Views. For European projects, EN standard 15978 may be used as framework for the Life-Cycle-Assessment instead of ISO 14044 for this credit. Where implementation of EN 15978 conflicts with any of requirements of this credit, the credit requirements prevail, including the life-cycle stages required and treatment of EPD data (See Further Explanation - Incorporation of EPD data in WBLCA Tools). Note that the CML indicators are acceptable per the Further Explanation section of the Reference Guide language of this credit. Projects will still need to meet the individual requirements of the pathway chosen for this credit option.